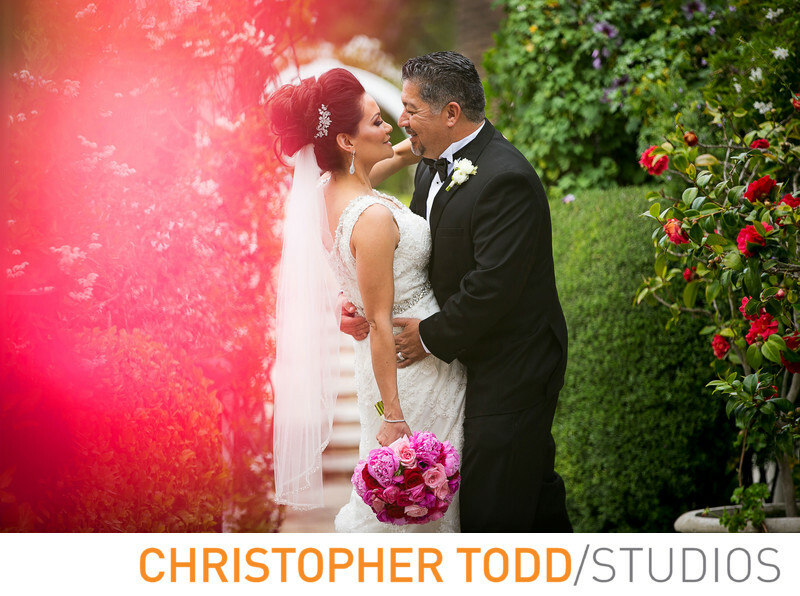 I took the bride and groom around the gardens at La Venta Inn for some beautiful portraits. This is one of my favorite photos of the couple with pops of red and a green. 1/320; f/2.8; ISO 250; 180.0 mm.